Don't you have this sometimes where you think ' I have crocheted or knitted this scarf/jumper but wish I had some earrings to go with it'? Well, if you have some yarn left, a couple of earring pieces from a craftshop and of course 15mins of your time, you are ready to go. 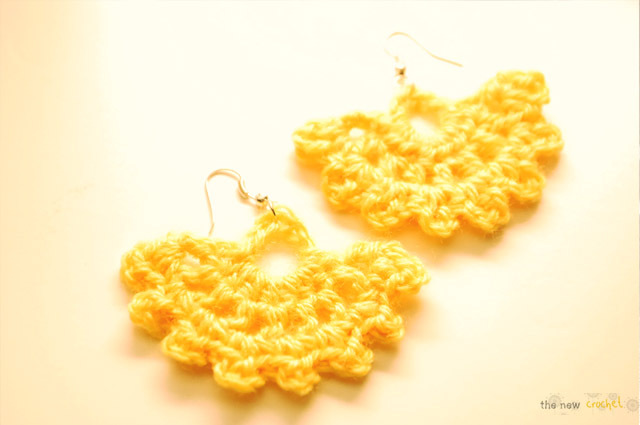 These are easy earrings but they will look, for those who can not crochet, rather complicated and exotic. They are ready in now time and you can make as many as you want. Come to think of it, they would even make a great present. Row3: 1ch, *1sc in next one-chain-space, 3ch, another sc in same one-chain-space*, repeat this 8 more times, finish off. Repeat this pattern one more time. 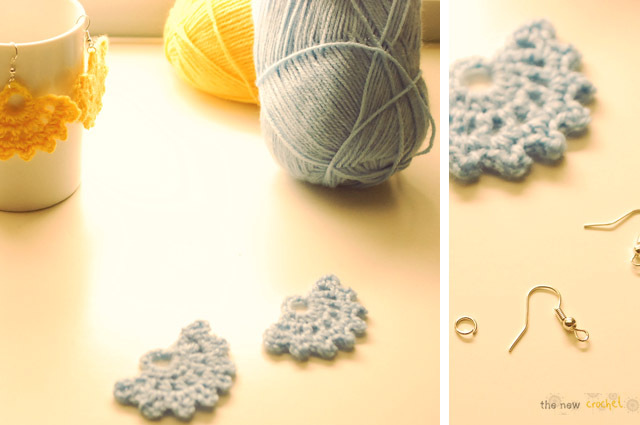 Once you have crocheted the 2 fan like patterns in your favourite pattern/colour, you can start putting it all together, the crocheted fan, the connection ring and the actual earring piece (as you can see in the picture below) and you will be wearing them in no time ;-). 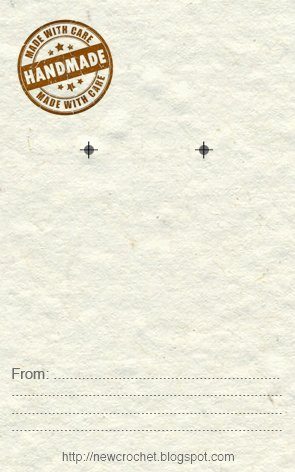 Template to use as packaging for your earrings. Place the mouse on the picture and click on the right mouse button, save the pictures so you can reopen it and print it. Oh Alexandra these are so pretty! My sister would love a pair. Thanks so much for the pattern. 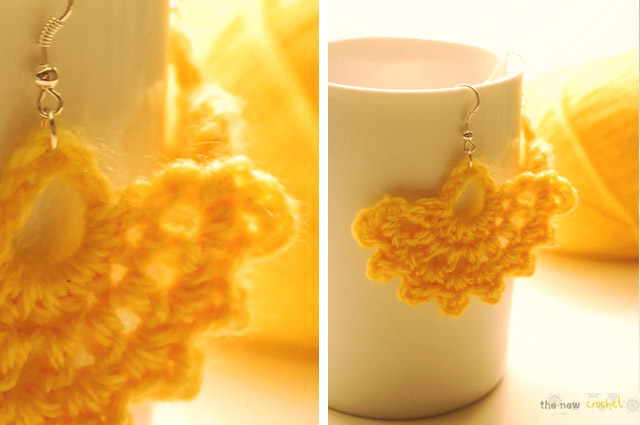 What size hook and type of yarn did you use with these adorable earrings?